What are the indicators that I have a mould problem? Mould growth in your house can usually be seen in the shower or in and around your windows. FACT: There are over the counter products that can resolve these problems. We are exposed to mould every day and in different environments. Home, work and play. There are many things to take into consideration when evaluating a structure for mould growth. For example, where is the moisture getting in? Is there seepage, poor ventilation, or water intrusion in the house? Mould removal greater than 1 square meter should be performed by a professional remediation contractor. FACT: Mould needs 2 things to grow; moisture and an organic surface. Everyone reacts differently when exposed to mould. Some people are very sensitive and others do not react at all. In some cases of extreme mould exposure it is important to consult a physician. Sign of mould exposure include: runny nose, itchy eyes, and an occasional fever. Sounds like the common cold. The common cold virus will last 1 to 2 weeks. If you notice a musty odor, or dark staining on your walls, floor, or ceiling you may have more than the common cold. When in doubt go see your doctor. 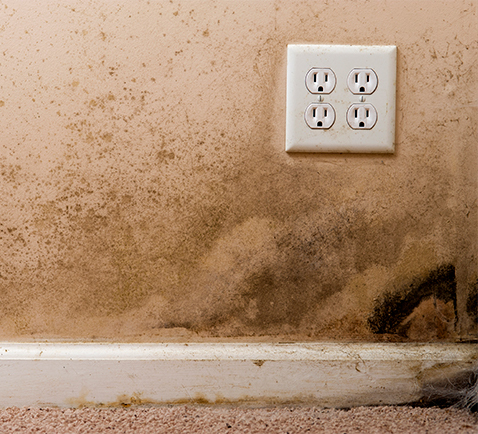 Senior citizens, sick and young children are more prone to react to mould exposure. FACT: Babies breathe more than adults. Some of the more common unseen areas for mould growth are in your attic and crawlspace. Fix the mould or fix the problem? South Island Remediation will come to your home to perform a detailed risk assessment of mould prone areas such as your attic and crawlspace. The inspection can take 1 to 2 hours, and sometimes longer to determine any potential moisture sources. Every mould problem has a cause and South Island Remediation is committed to solving your mould problems once and for all.